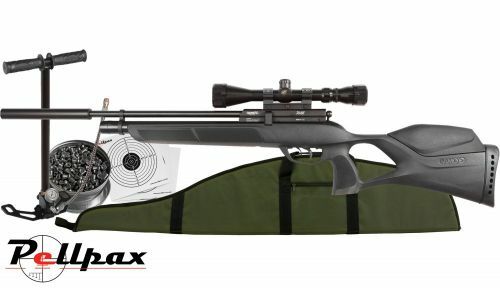 Now available in .177 calibre the excellent Gamo Phox pack is perfect introduction to the world of PCP air rifles, this full combo kit comes with everything you need to get shooting straight away. We are also including 2 tins of Pellets and a 2 Packs of our Targets to make this the ultimate PCP rifle kit! Add this item to your basket & spend an extra £15.01 to apply for finance.